Thius is taken straight out of the ordinance, O-2008-61, which passed the 1.1% income tax on September 4, 2008. It is on page 13 but you have to count them yourself. 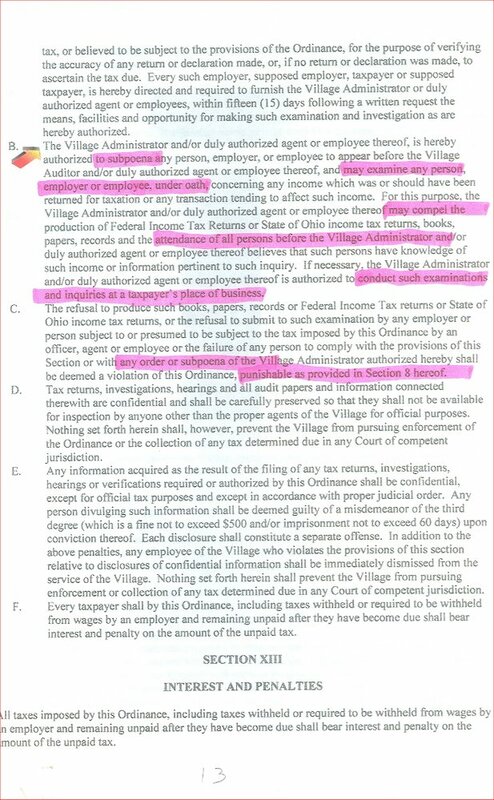 I hope you realize that the income tax is coming and the Village Administrator has much the same power as the State and Federal tax authorities. I am not knocking either one of those organizations but I am here to tell you that I do not want the likes of our current Administrator having these powers over me! NOT ONE BIT! If you don't like it any more than I do then get out on May 5th and send them packing!